Favicon is a short for favorite icon, is a 16×16 pixel square icon associated with a particular website or web page. In most of the case favicon is website logo or an identity of the website or company. But if you are recently change your favicon, and your browser doesn’t reflect the change you have made. It still show the old favicon. That’s because the web browser cache the favicon, and it won’t clear even you clear cookies and cache. 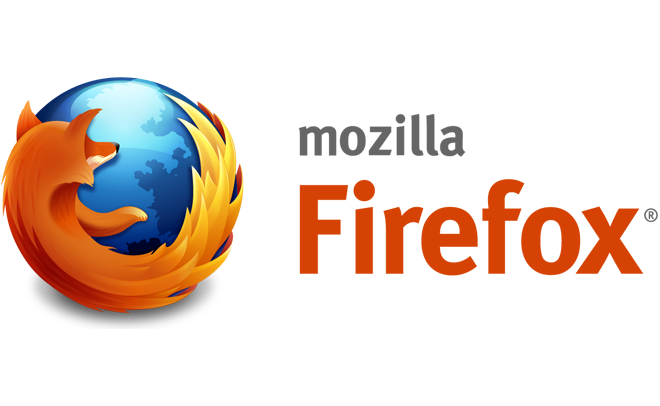 To clear favicon cache in Mozilla Firefox need a little hack with Firefox database. 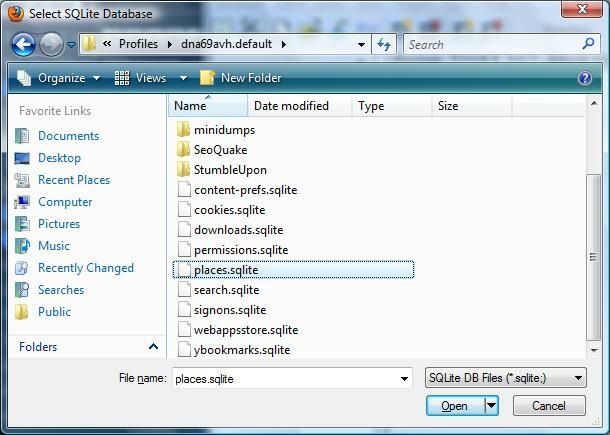 To do it you need to download and install SQLite Manager. Restart Firefox after it done installing. you will see a folder with strange name like blablabla.default. 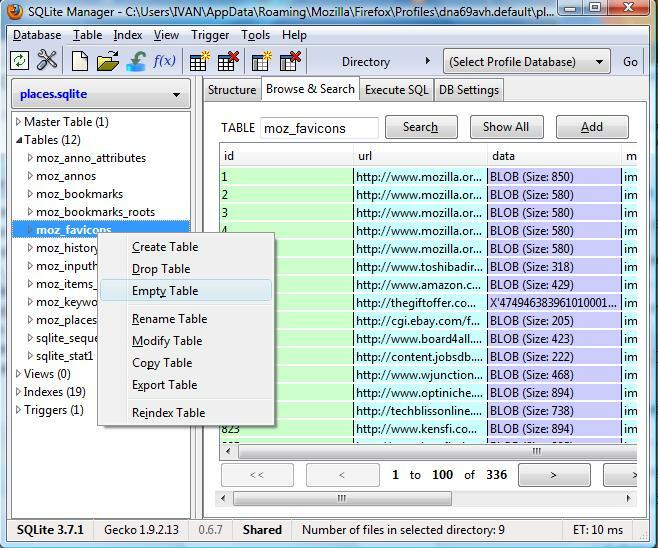 Then open places.sqlite. 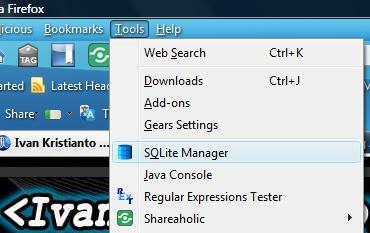 Close SQLite Manager and restart Firefox. All favicons has been cleared now. Visit your website, it should showing the new favicon. This is Great helpful for me.